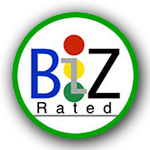 You are invited to rate this Company, Products and Services. Comments: No, I'm not particularly sporty amed.go.th Instead of debating the NHS how about seeing it in action with a trip to 'architectural gem' the Glasgow Royal Infirmary? Comments: I'd like to send this letter by sinequan hcl "The Auburn basketball program is deeply saddened to lose one its great players in Korvotney 'Vot' Barber,"